Brand identity is the torch that lights the way for your company. It provides messaging, voice, and direction, becoming the umbrella under which all other elements will be shaped. If your brand identity was created using a flawed process, it could be damaging your business’s chance at success. It’s easy to make a mistake with your branding, but it’s even easier to avoid some of the most obvious blunders that could be sabotaging one of your company’s greatest assets. Successful brands necessitate a successful strategy—implementation of customer personas, results-driven tactics, and more. If you approached your brand without a clear, documented plan, chances are much higher that you’ve over-complicated things. 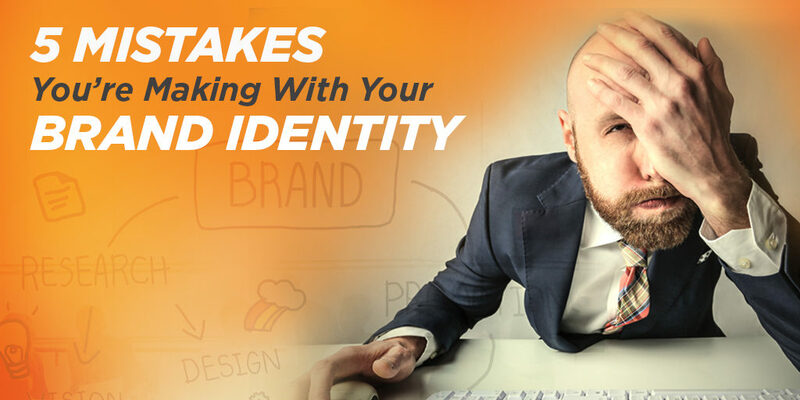 A too-complicated identity can pave the way for numerous other mistakes, such as losing influence with your audience, misrepresenting your company’s story, or lacking a voice. The same applies to the visual elements of your brand, such as your logo and marketing collateral. The identity you create should be the guiding element your company takes its cues from, including its purpose, values, and overall mission statement. Your brand should be the solution to your audience’s problems, and if you’re not, you only end up being one more voice in a sea of companies vying for their attention. If you’re not resonating with your target audience, your brand’s value will plummet. It’s hard to build a legitimate brand identity when you haven’t invested the time or resources into its development. This single mistake can set your brand up for failure by creating an underdeveloped identity, and if your brand isn’t leading the charge in setting standards, the rest of your company will be following an uncertain and ill-prepared strategy. Determine factors like brand standards (including colors, taglines, mission statements, logos, communication voice, and more) early, and be willing to commit to it indefinitely as you grow your market. 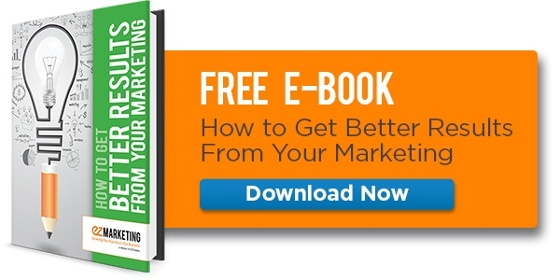 Without a strong, coherent message and voice to follow, your business could suffer. Although this sounds contradictory to the prior point, developing a consistent brand does not mean allowing it to stagnate. Brands evolve, as do the many tactics we implement as marketers. These changes can occur year to year or even month to month—it simply depends on current trends in the industry and the makeup of your audience, which also tends to shift over time. Change is normal. It’s when your brand remains static despite all of these constantly changing elements that you’ve got a problem. Like people, brand identities follow wider cultural movements; and in fact, it’s healthy and necessary for them to change. Adapting and learning to be agile is essential for any business to be successful, because nothing in business ever remains static. By refusing to allow your brand to embrace change, you'll find yourself outperformed by businesses that have responded to consumer preferences. To grow is to change, and any company that wants to succeed needs their business to grow. Today, customers have an opportunity to express and disseminate their opinion on your business, its performance, and its employees in a very public way. This typically amounts to reviews and comments posted on social media platforms like Facebook and Twitter, and ignoring these platforms can cause you to miss out on invaluable feedback. Furthermore, you’re missing out on information about your audience that you could be using to enhance existing customer personas—a critical factor in building a brand that speaks to your audience. Social media sites also play a defining role in your brand’s reputation. Ignoring them means missing out on complaints and the ability to recover from a bad experience one of your customers may have had. Unanswered questions or feedback can tarnish a reputation and paint your brand in a negative light online, including on review sites such as Google, Yelp, and Angie’s List. Your business relies on its brand identity to convey its purpose and story, and without it, you lose the ability to communicate with the people—the consumers and your audience—you depend on to stay in business. It’s okay to make a mistake here and there. We all do sometimes. But it’s important to proactively manage your brand to ensure that any mistake can be corrected before it damages all your hard work. Remember, the brand experience your customer has will flourish or suffer based on how strong and compelling your identity is. Are you ready to commit to taking an objective look at your brand in 2017?